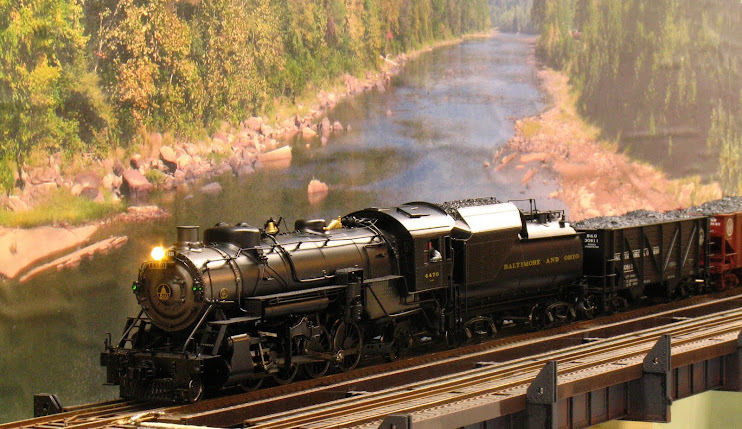 2-Rail O Scale Railroading: Oldie but Goodie??? Here is a project that I am completing after a 20+ year hiatus. This Main Line Models kit was "old school" when I bought it sometime in the mid eighties. The only pre-formed parts in the kit were the scribed and printed sides and ends, scribed wood for the floor and the end blocks for the body - everything else in the box was stripwood, wire, a few castings - and a single a sheet of instructions. Even the roof was made up of seven individual pieces of wood; an addendum sheet in the box declared that the former milled roof had been replaced with seven pieces which had to be glued up to form the roof. Then each roof rib had to be measured, cut, formed and glued down; each is made up of three pieces. The same with the undercarriage. Each piece had to be measured, cut and glued together; center sill, side sills and all of the stringers. In my initial enthusiasm for assembling this kit I completed the roof and undercarriage, including the painting, the floor, the ends and one side; complete with outside bracing. At that point I estimated that I did not have enough "T" section stripwood to finish the other side; the kit went back in it's box "until I can order more stripwood" and there it languished for over 20 years. Recently I resolved to finish this kit and I'm almost there. I did, in fact, have enough T-section stripwood to finish; although some other sizes were short. Somewhere along the way all of the grab irons were lost (if they were ever there, I cannot remember); so I have some replacement corner grabs on order which will let me finish the roof walks. On the remaining work I'm going to cheat a little. Rather than use the couple of brake system castings and wire provided, I'm going to see if I can adapt an Intermountain brake set - all for better appearance, of course. And I'm going to use Intermountain ladders on the car sides and ends instead of the grab irons. Every photo of an OB wooden boxcar from the late steam era that I can find shows ladders instead of grabs. I believe that there was a change in the law at some point.